Total Vehicle Leasing would like to keep you updated with our latest great deals, latest stock offers and exciting car news, exclusively for our customers and subscribers. Please tell us how you’d prefer us to contact you. Success! We’ve received your Call Back request. We’ll call you back soon. One moment please, we're just sending your Call Back request. 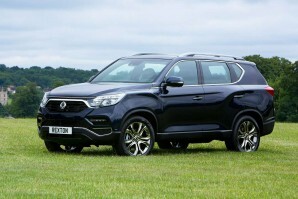 New Ssangyong Car Leasing and Contract Hire Deals. 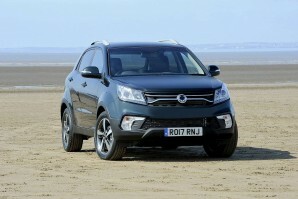 Search for Ssangyong car lease deals below. SsangYong are the fourth largest manufacturer in Korea. Established in 1954 it means "Double Dragons" to those history buffs amongst us. They have a wide range from the rugged, robust and large Rexton SUV equipped with Mercedes-Benz 7G-Tronic automatic box through to the Tivoli, Korando and Tursimo. SsangYong offer something different for those that want the ruler's tone. If you can figure that one out call us. The clue is in the range. For more helpful leasing advice view our guides below or contact our friendly team today. 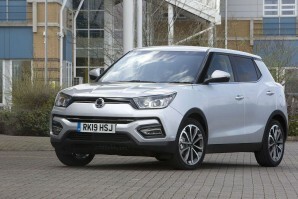 Why lease your next Ssangyong car from Total Vehicle Leasing? Not only can we help specify your next brand new Ssangyong car, we will find the right finance deal for you and arrange everything from placing the order to delivering it to your door - it couldn't be simpler. Search the Ssangyong car you want, choose the contract length, the initial payment amount and ask us for a quote. Alternatively give us a call on 01565 65 66 66. Contact us today and one of our friendly leasing specialists will help you every step of the way.